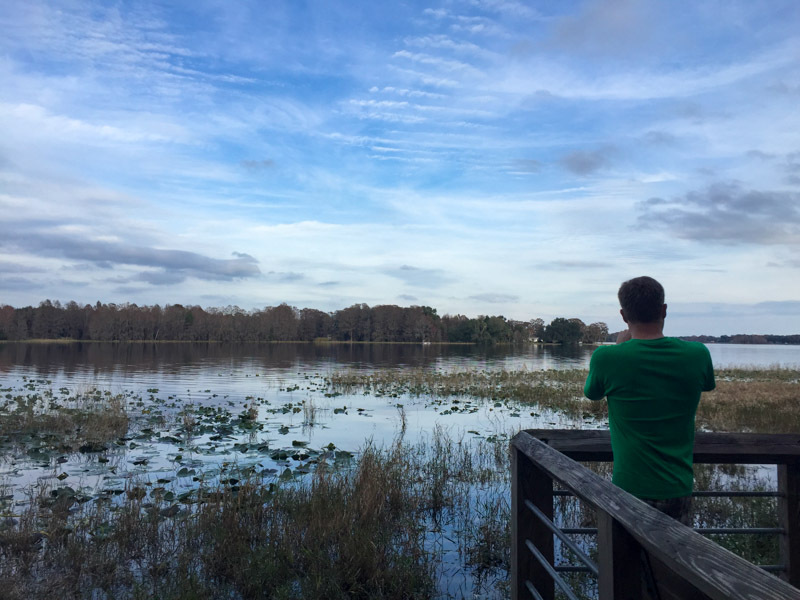 After a two-day trek through the wilds of the south (with a stop at a questionable Waffle House), Ryan and I arrived in St Petersburg, Florida. 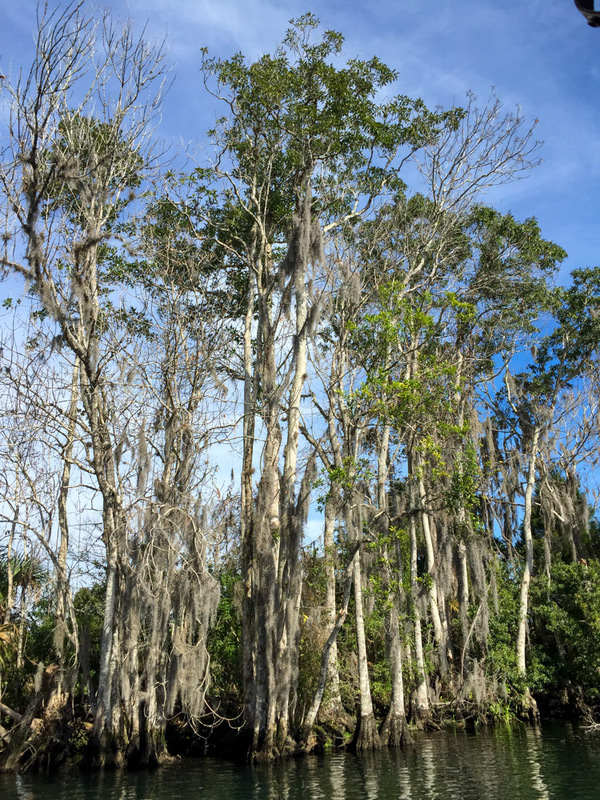 We had driven there with a backseat of scuba diving equipment, but once we arrived, Ryan came across a slightly different option: swimming with manatees. 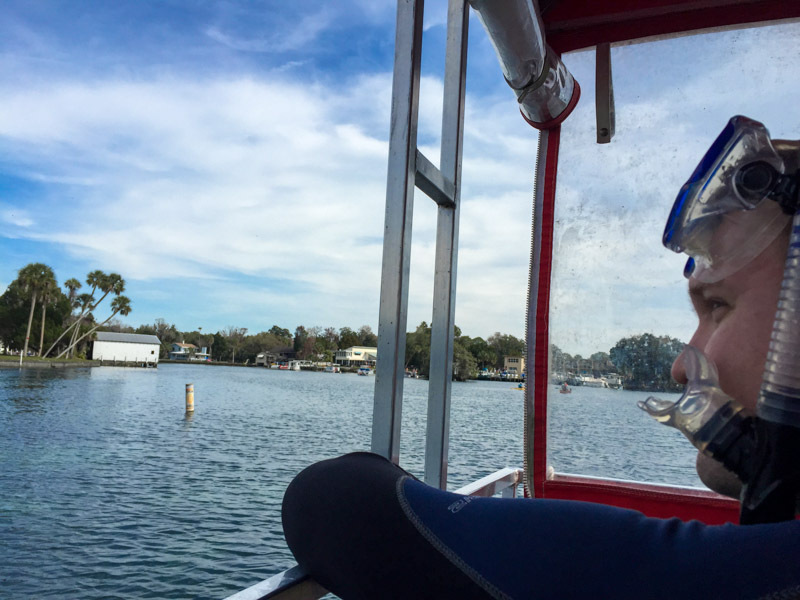 We decided that we can scuba in many other places (even Pennsylvania lakes), so we left the BCs behind, grabbed our snorkels and headed to King’s Bay. 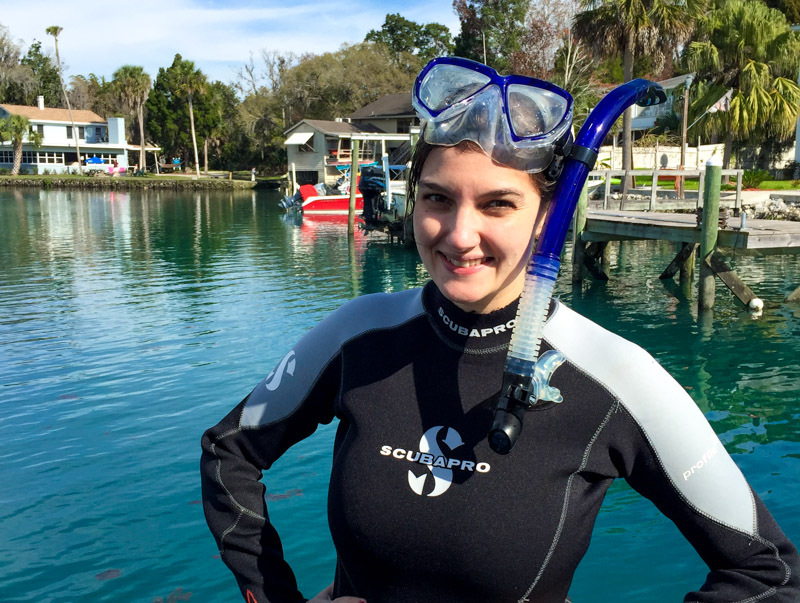 Every day, Bird’s Underwater Diving Center takes three trips to find manatees in Crystal River. The first is at 6am, when the manatees have just woken up and are far more animated. Unfortunately, we had a 90-minute drive to get there so we joined the 11am boats instead. 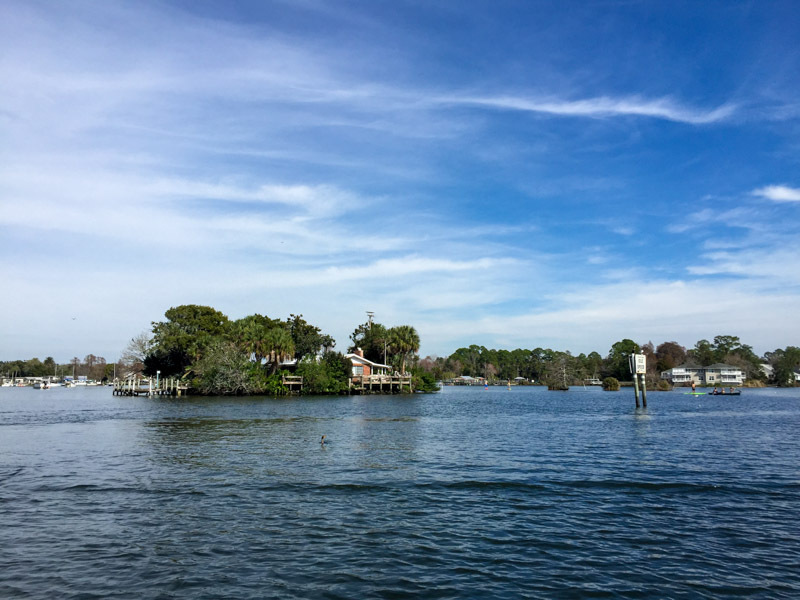 Over three hours, our captain dropped us off in different corners of King’s Bay to bob alongside the sleepy sea creatures. 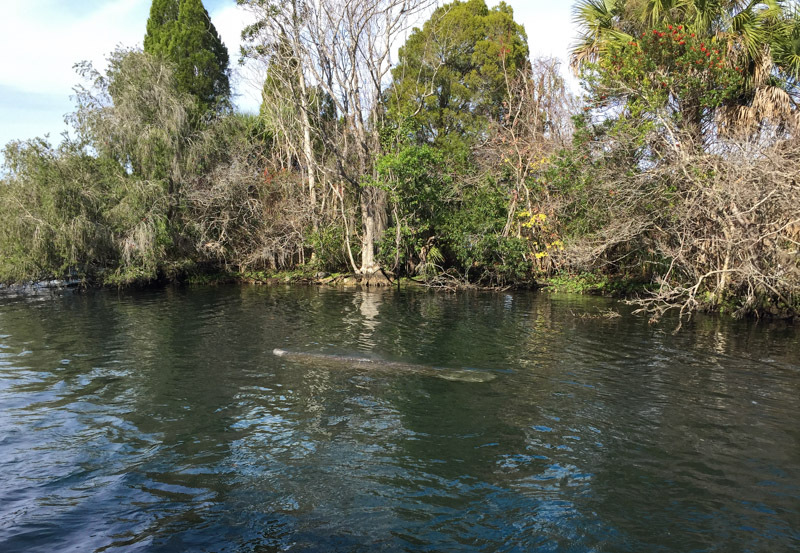 At one point, we swam into a spring, where there was a small herd – including a baby manatee. 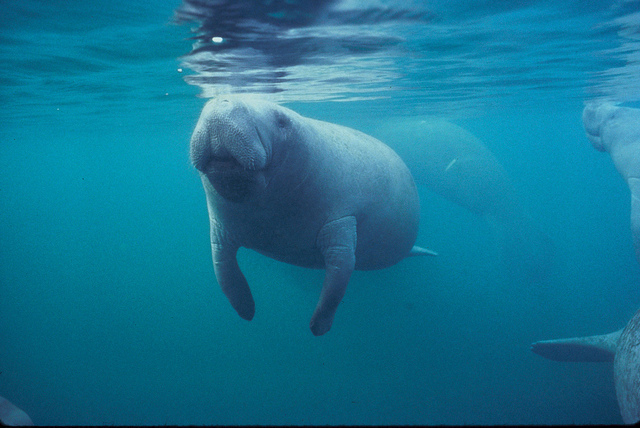 I learned that manatees are basically big gentle blobs of blubber. Sometimes they swam directly at us – happily continuing once they got there – but for the most part, they floated just beneath the surface of the water, coming up every few minutes for a breath of air. They didn’t seem fussed by our being there, and even allowed us to pet their rough skin. 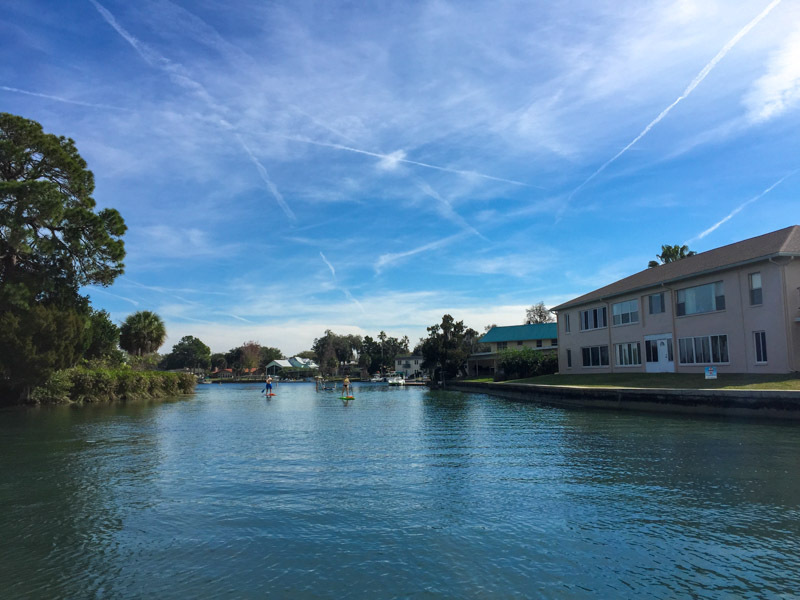 It was also a beautiful day – one of my favorite parts of the trip was being out on the water in the sunshine. 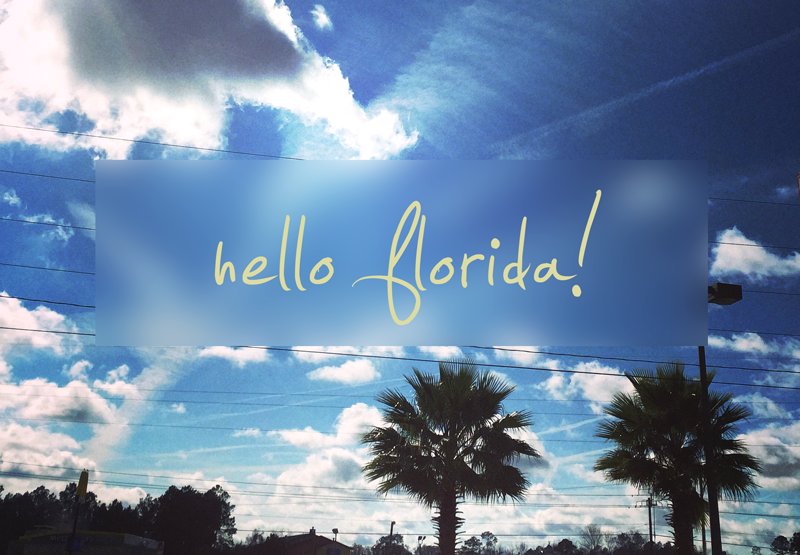 Sorry New York, but I think I might prefer January in Florida. 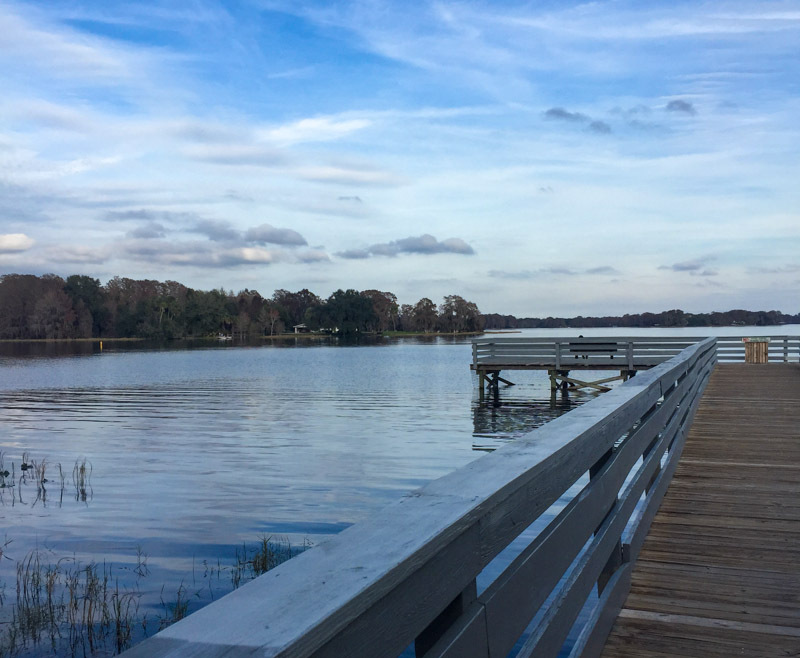 Winter is the best time of year to visit the manatees – as they all huddle along the coastline for warmth – but companies do hold tours through the summer too. And although we had no problem seeing any on the late-morning visit, it would’ve been fun to play with the babies after they woke up, so I’d suggest going on a 6am – if you can face it. All in all, a great day trip – and far better than anything I’d find lurking in the rivers either side of Manhattan. 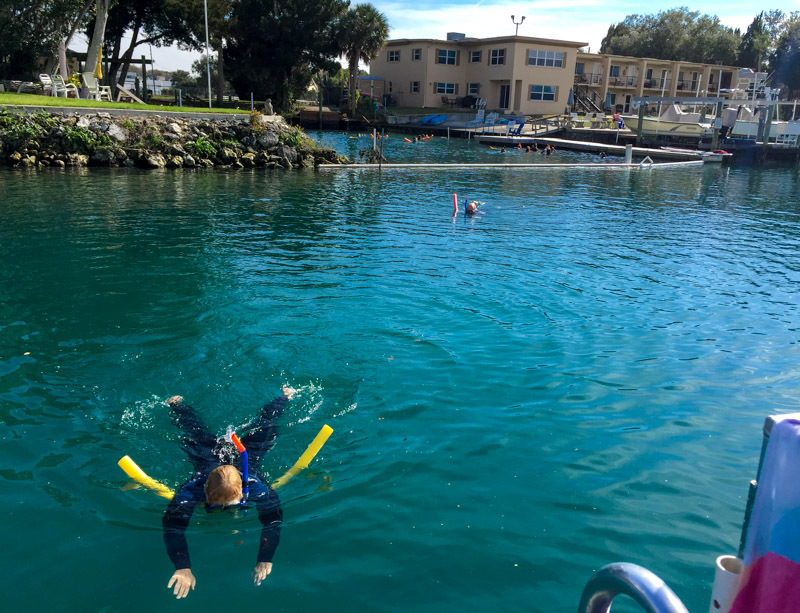 Who, what, where, when: We used Bird’s Underwater Diver Center at Crystal River, Florida and found them to be professional, helpful and informative. They have daily tours at 6am, 11am and 2pm. Each tour lasts for around three hours and includes an educational video. It costs $55 per person, which covers all equipment and snacks on the boat. Yes, I think I will be! Thanks Yannis. Yes, soo cute – and I couldn’t believe how accepting they were of us! Definitely – although I actually think I’d like to try that too! And you’re right, it’s very affordable, especially considering it was a three-hour tour. We didn’t feel rushed at all. One post in and I love your blog already. Great shots! Adventure is always on the menu.